Are you looking for a family game or party game to help inspire and encourage the better side of people? There isn't anything that says we have to continue to feed into the overwhelming negativity that seems to be infecting our lives and our playtime. Many are consumed with violent video games and even board games that promote the not-so-nice side of people. Although game lovers will never stop playing violent and vulgar games (and yes, they can be fun too! ), it's nice to know that, once in a while, we can actively switch things up to something that leans positive. 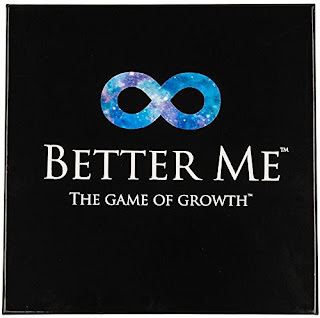 With Thanksgiving approaching, 'Better Me' is a game the whole family can play. It encourages us to expose the better side of ourselves to others. 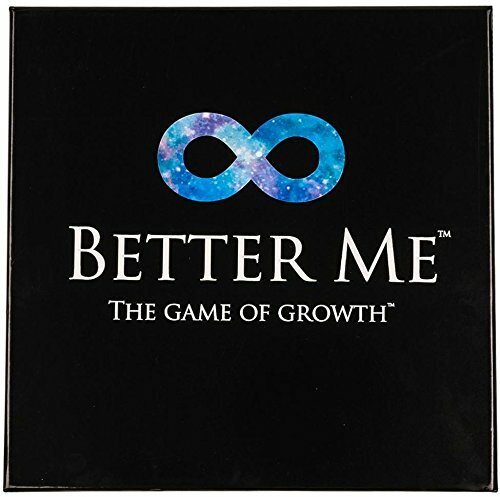 "Better Me is a new approach to relationships and personal development. The game encourages it's players to take real action after the game has ended to better themselves in this life. It uses the basic principles of positive psychology to help strengthen relationships and to help tap into the better side of the human condition"
Better Me helps you to quickly get to know people as well. If you're hosting a party and need a game to encourage conversation, this game does it in a positive, constructive and forward thinking way. You'll get to see the inside of people very quickly just by their responses to a variety of life questions and scenarios. The fundamental play of the game involves Players completing their five areas of life; Heart, Mind, Body, Tangibles and People. You earn points by passing along a true compliment, sharing a story where you learned a positive lesson, and even committing to taking a positive step in your life when the game ends. Very interesting. I could see these being used also at office and club parties to promote good will. Sounds like a great game for everyone! Not only encouraging, but it sounds like a great "get to know you" game since you share personal stories. Great idea! Positive is a good thing! Seems it could work well as a team-building game for offices and other organizations, too. A break for looking at the positive side of life is a wonderful idea given the world situation these days. Good find, Barbara! This sounds similar to a game we have called "Tell it Like it Is" in that it also helps get people get to know each other and get beyond small talk. I always enjoyed it. But not everyone is willing to play games like this, so you have to know your group. One family member absolutely refuses to play. Wow, I created Better Me, and somehow I just now saw this review. Thank you for taking the time to write this Barbara, I really appreciate it! I'm going to share this review on our Facebook page(s) too.